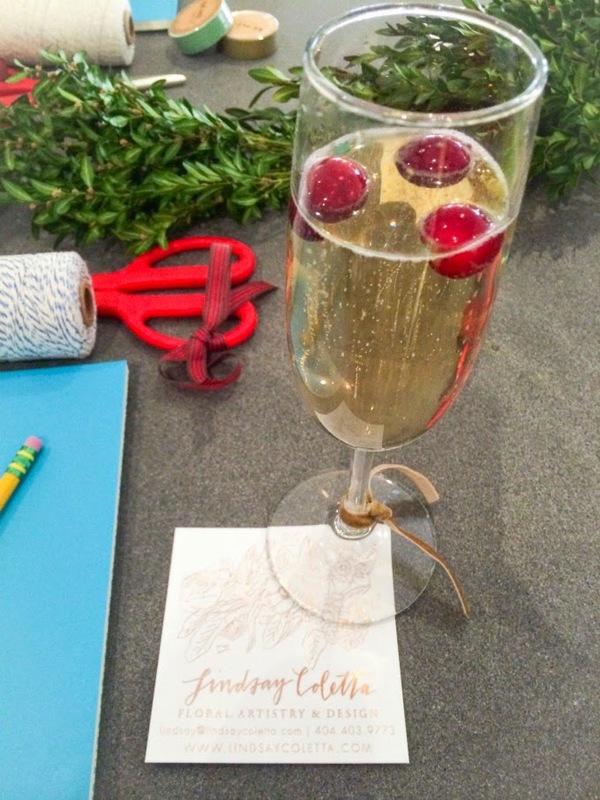 This weekend I had the pleasure of attending the Holiday Floral & Entertaining Workshop with Mandy & Lindsay. I signed up last week and am so glad that I took the leap to attend the workshop. 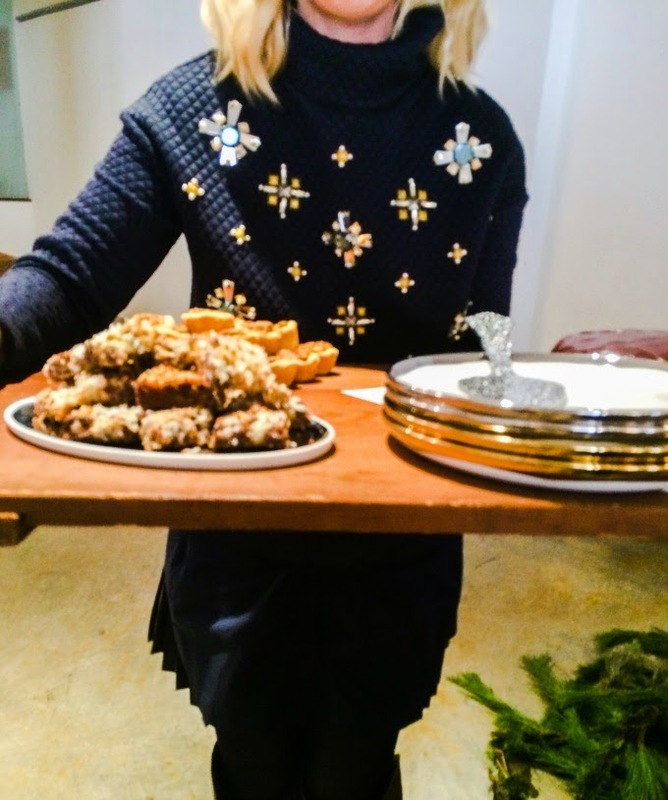 Not only did I get to learn floral and entertaining tips from the best of the best, but I got an up close and personal peek at Mandy's pop-up shop (which is gorgeous, btw). 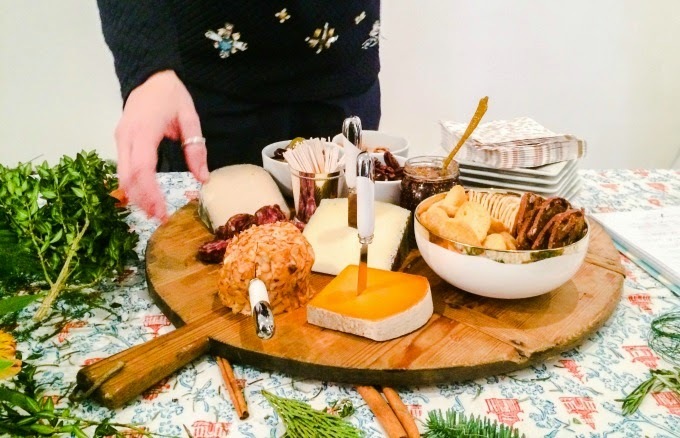 From wreaths to garland to floral arrangements, Lindsay Coletta offered the best tips on holiday decor. 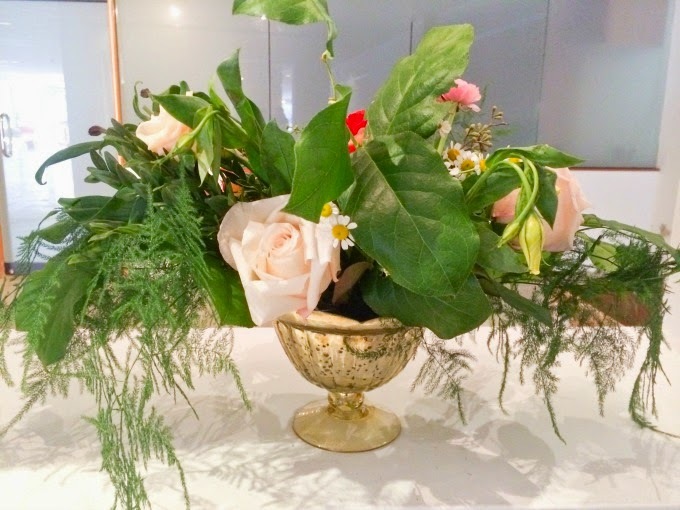 I loved her quick and easy ideas for taking greenery purchased at Home Depot and kicking it up a notch. Plus, she walked each attendee through the steps of arranging our very own centerpiece. All the while, Mandy was dishing us cocktails, recipes, and entertaining tips. 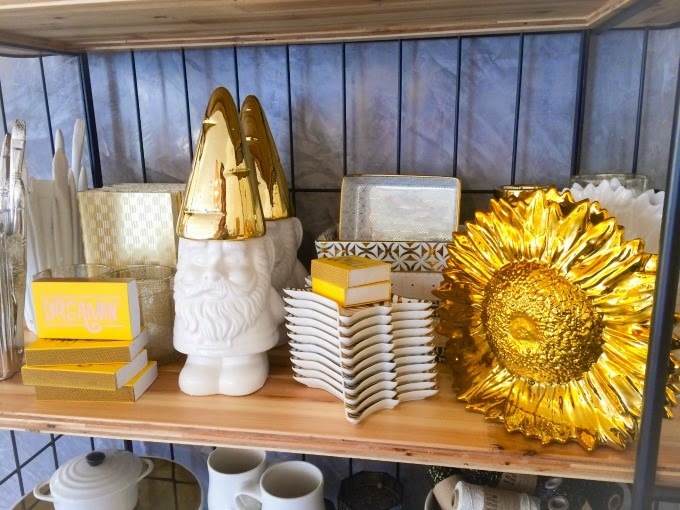 I especially loved getting the scoop on some of her favorite go-to ideas for tablescapes. The tablescape is something that I'm still trying to master, but with her tips, I think I am slowly starting to understand how to turn a big brown square (aka our dining room table) into something beautiful. Mandy & Lindsay are hosting another workshop this weekend. Grab your tickets and go. You'll have a blast! 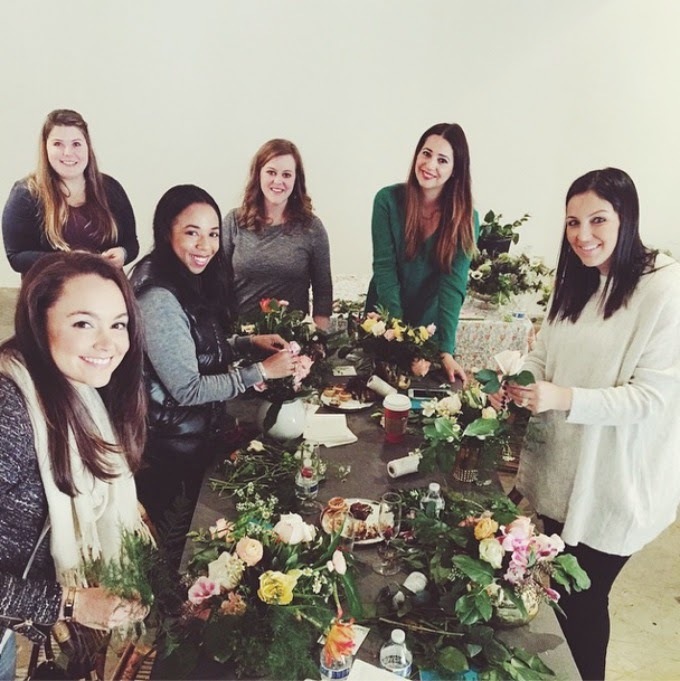 What a fun event and just in time for the holidays :) Can't wait to see your new floral arranging skills! It was so therapeutic if you can believe it. I totally let my type-A go for the whole workshop! How fun! Everything looks so pretty! Can't wait to hear what you learned!